In 2006, filming began for a special hour-long opening episode of The Sarah Jane Adventures, 'Invasion of the Bane', which originally aired on 1st January 2007. The spin-off quickly became one of the most popular shows on CBBC picking up record audiences. In 2009, a special episode, From Raxacoricofallapatorius with Love aired during Comic Relief on BBC One. 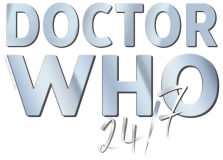 The show has remained closely linked to Doctor Who. Sarah Jane and her adopted son Luke have turned up in Doctor Who many times, the most recent being the Tenth Doctors final story The End of Time. The Doctor has also shown up in The Sarah Jane Adventures, most recently the Eleventh Doctor in 'Death of the Doctor'.